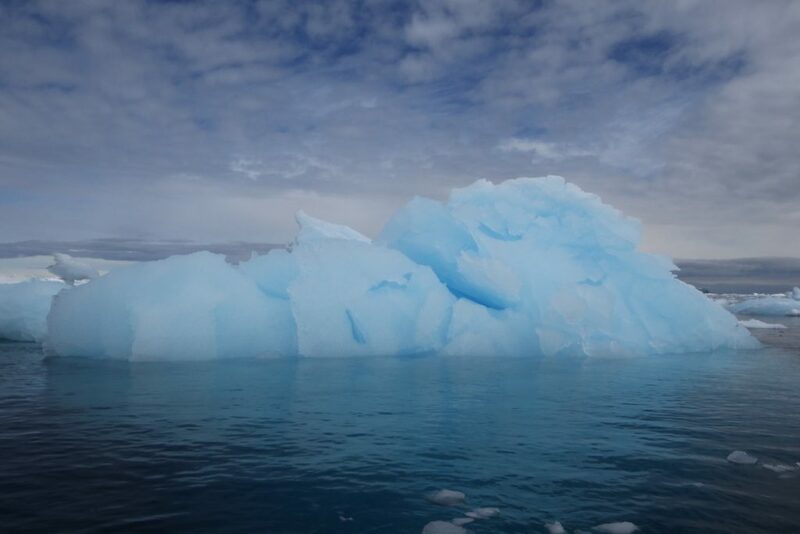 The translucent nature of the iceberg on the right indicates that this iceberg is incredibly hard. Photo credit: Devayani Sathe. The ice hasn’t quite melted in November, not only does this create spectacular ice formations but because there’s still a lot of sea ice as well you will literally see a ‘white continent’ like no never before. On every shore landing you will step onto pristine white snow where you’ll most likely be the first people to visit for that season. In November, Gentoo Penguins are in full swing of finding their perfect mate, you will see male penguins rummaging through piles of pebbles to find the smoothest most perfect pebble in the hope of winning over his lady love. 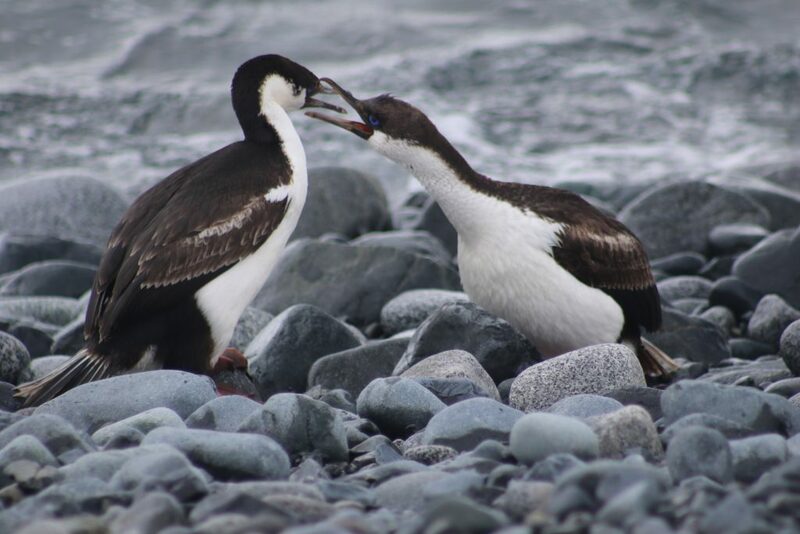 Courtship also means that some penguin hearts may also get broken. 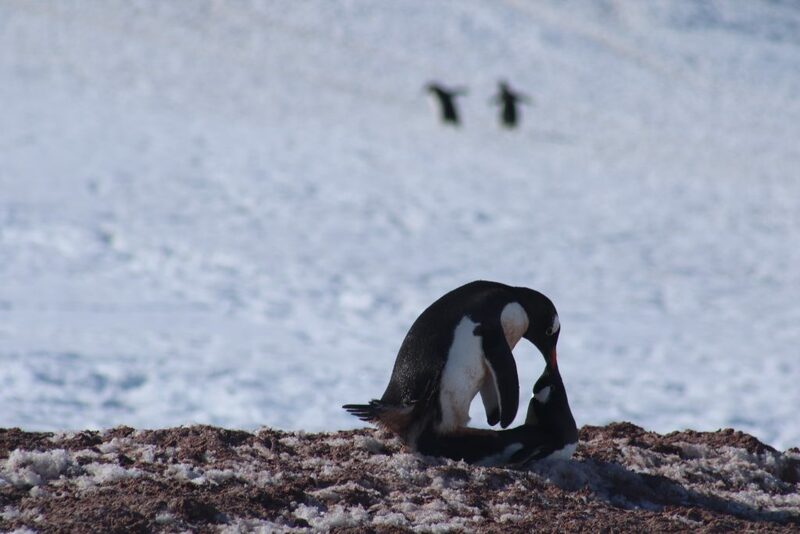 I was lucky enough to witness a full blown penguin fight (unlucky for the penguin in question), but to see the bloodied male penguins fight over a female was truly fascinating, definitely a David Attenborough moment. 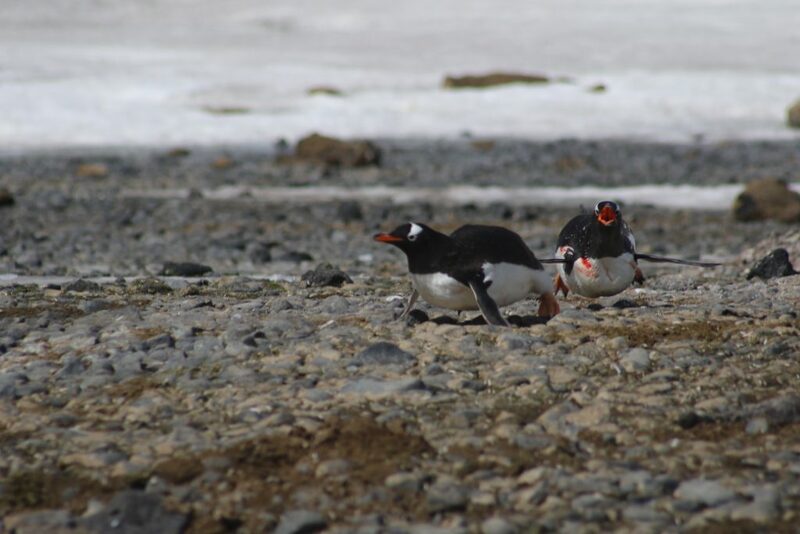 Pair of gentoo penguins mating, photo credit: Devayani Sathe. When you cruise to Antarctica in November, the stench of penguin poo you smell on each shore landing is quite bearable. 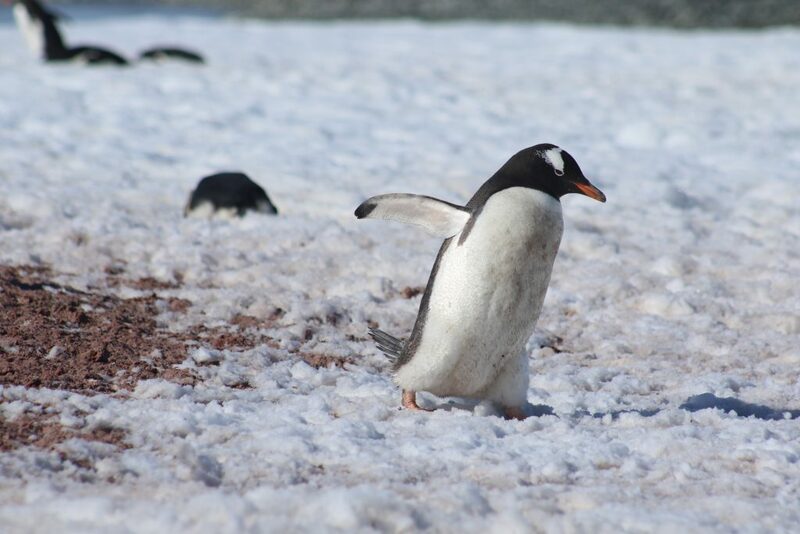 Instead of seeing a sea of brown, you are able to see the distinct penguin highways over the pristine white landscapes. As Antarctica is just coming out of it’s winter months, you will get a taste of some harsh weather conditions. 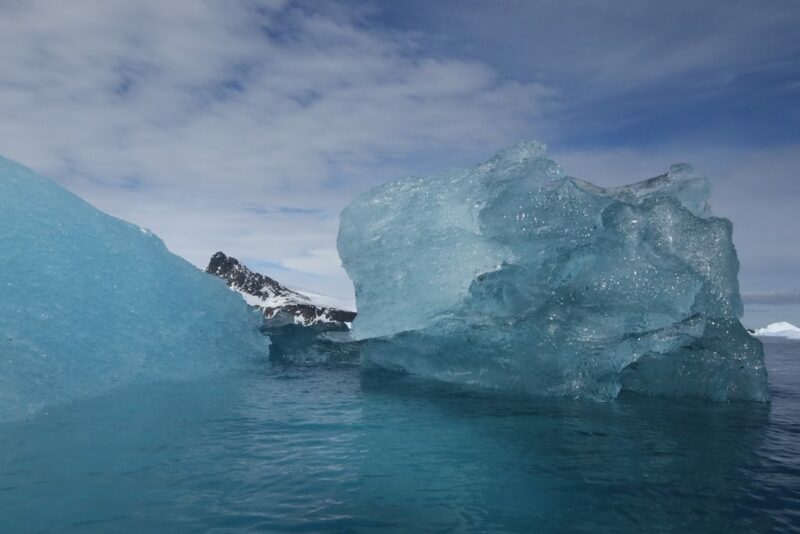 In saying that, most cruises normally venture to the Antarctic Peninsula which is the northernmost part of the continent where temperatures average at -2.8 Celsius. 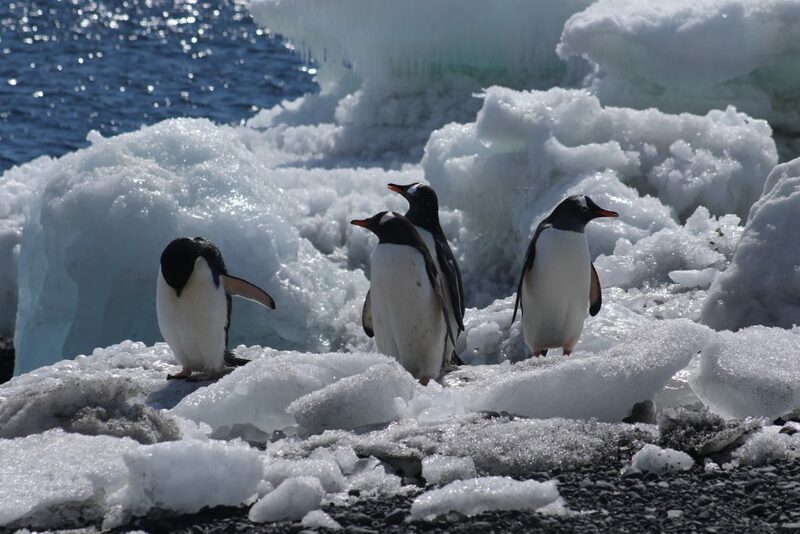 Gentoo penguins around lots of fresh ice formations, photo credit: Devayani Sathe. 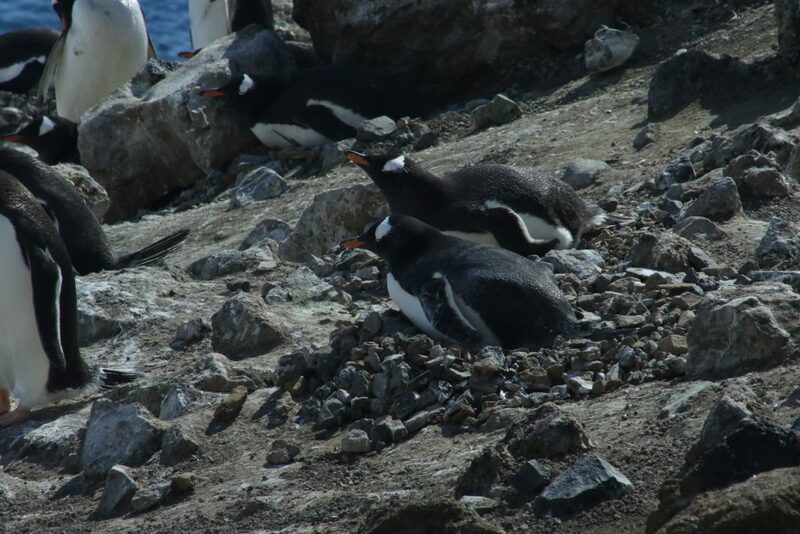 Gentoo Penguins surrounded by Penguin poo, photo credit: Devayani Sathe. 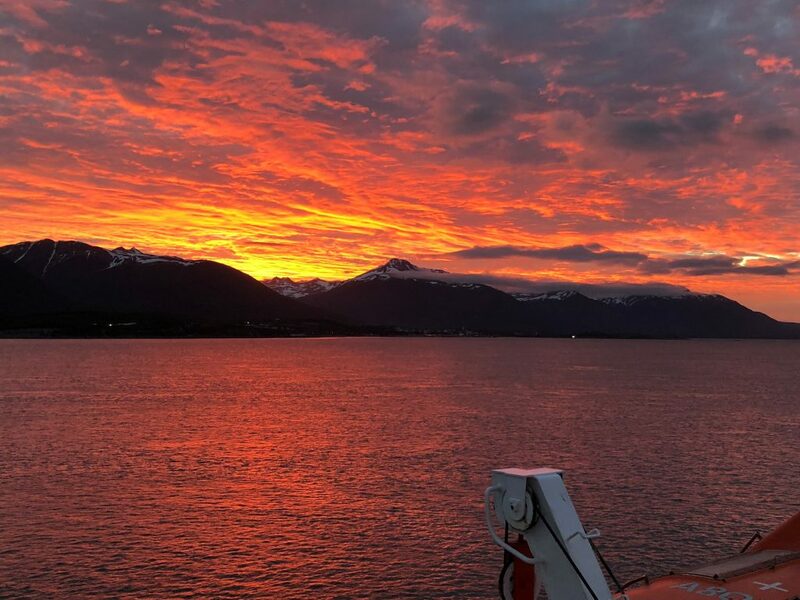 As we left the Beagle Channel on the 13th of November, I looked back to see the most awe-inspiring sunset ever. When you are so far south, the sunsets and sunrises are quite lengthy affairs. Sunset, looking back at the Beagle Channel/. Photo Credit: Devayani Sathe. Crystal Clear Reflections, Photo credit: Devayani Sathe. Being early in the season definitely has it’s advantages in terms of how much you will spend. Many ships will have their first voyage of the season kick off in November, which means competitive pricing. 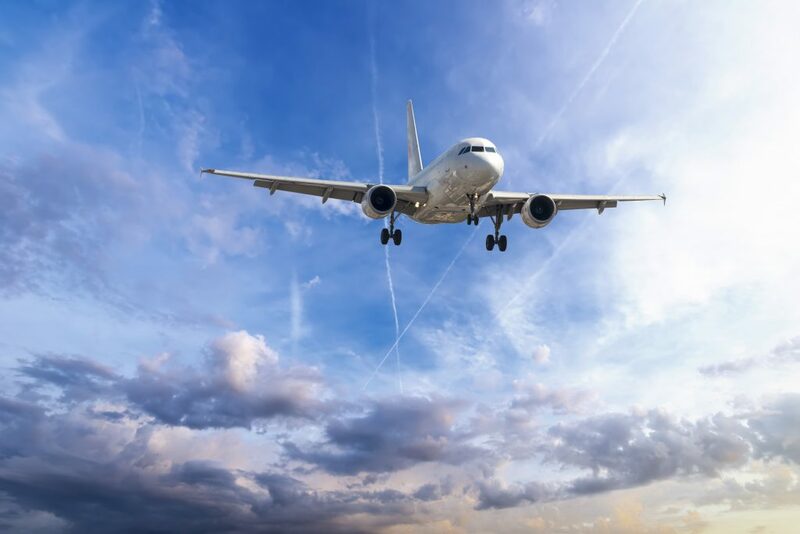 Flights to South America, more specifically flights to Ushuaia in Argentina are also in the ‘off-peak season’. 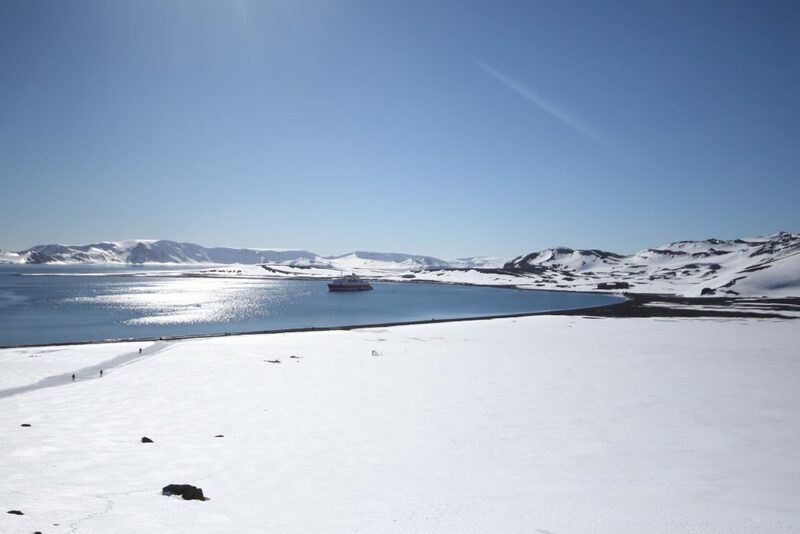 Deception Island in November covered in a blanket of clean white snow, photo credit: Devayani Sathe. 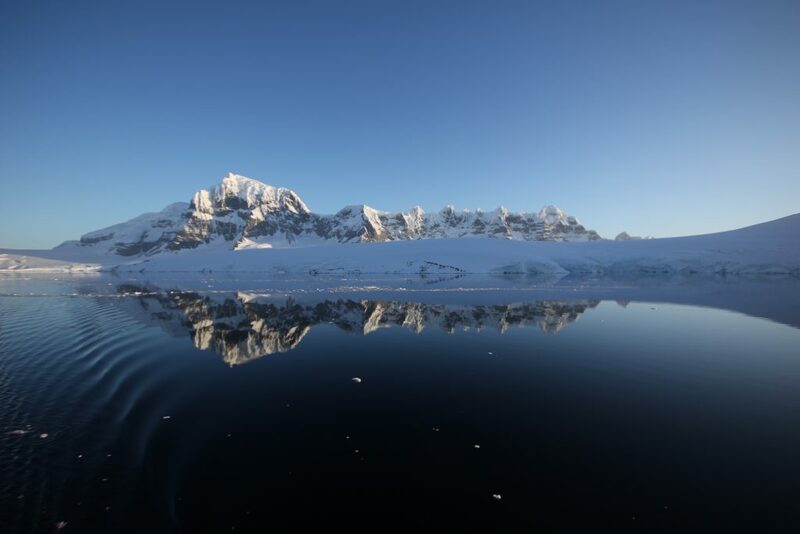 Explore Antarctica in November on our very own Chimu cruise Pristine Antarctica, which departs on the 23rd of November 2019 aboard the MV Hondius. Not sure when the best time to travel to Antarctica is? Drop us a line and one of friendly Destination Specialists will be more than happy to talk you through all your options and what to expect in different months of the Antarctic season. 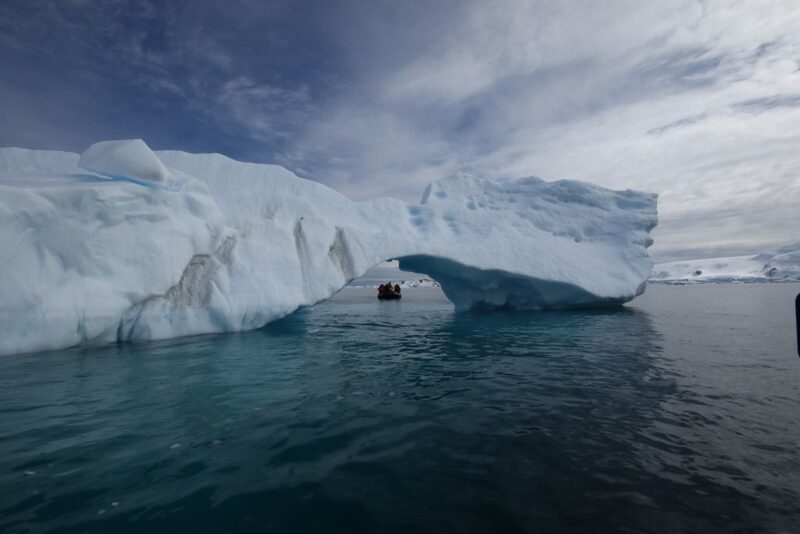 Feel free to simply browse through the trips we offer on our Antarctica page.